My coworkers and I have done quite a few escape rooms together and we really enjoyed this one. The decor was lively and well thought out, and some of the puzzles were really inventive. I would highly recommend this room to anyone. Your grandpa Vincent has just died. He was a famous painter, and you’ve just learned that he has left everything to his latest muse, Vanessa. He was clearly not in his right mind! The family lawyer says you have one hour to ‘procure’ his masterpiece from inside his studio before the estate manager shows up to seize all his artwork, so act fast! 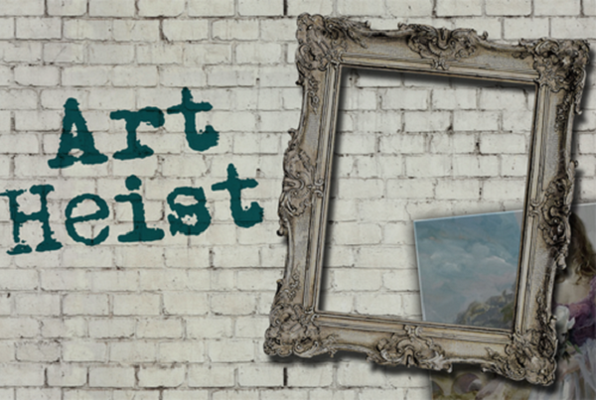 Reviews of escape game "Art Heist"
Our family just went today and had the best time. This is a true, legit escape room. Some of us have gone thru other companies, and really preferred this one. The clues were clever and challenging. We will be back for their next room. Highly recommended!